We’ve taken a pit stop to tell you all about an exciting project we’re involved in. Due to open in 2019, Silverstone Experience will be an exciting visitor attraction, using archive material to tell the story of this unique racetrack. We’ve played a key role in developing Silverstone Experience’s new website and we’re proud to announce that phase one is all revved-up and ready to go! 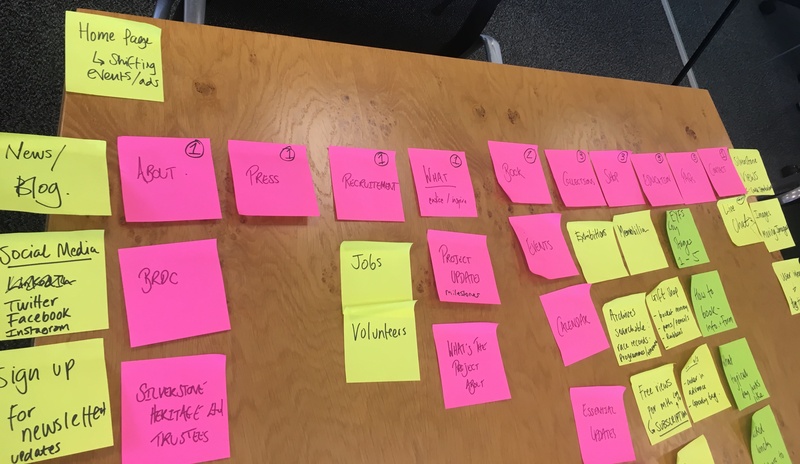 To begin with, we ran a workshop to gather a full list of requirements for their needs. Following this we managed and developed a series of tasks to get the project into gear. Whilst running this project, we worked closely with digital agency Substrakt and Silverstone Experience to ensure it stayed on track. The website is a stimulating teaser that describes what is to be expected from the project. Its engaging design and captivating content is sure to draw spectator’s attention and appeal to a great reach of people. However, the race is not over yet. The subsequent phases will integrate a ticketing module, online shop and education section. Now the Silverstone Experience website has gone live, it’s an exciting, fast-paced growth from here. We are so pleased to be part of this journey.